Nashville-based Sarah Bartholomew (and 2018 New Trad designer!) 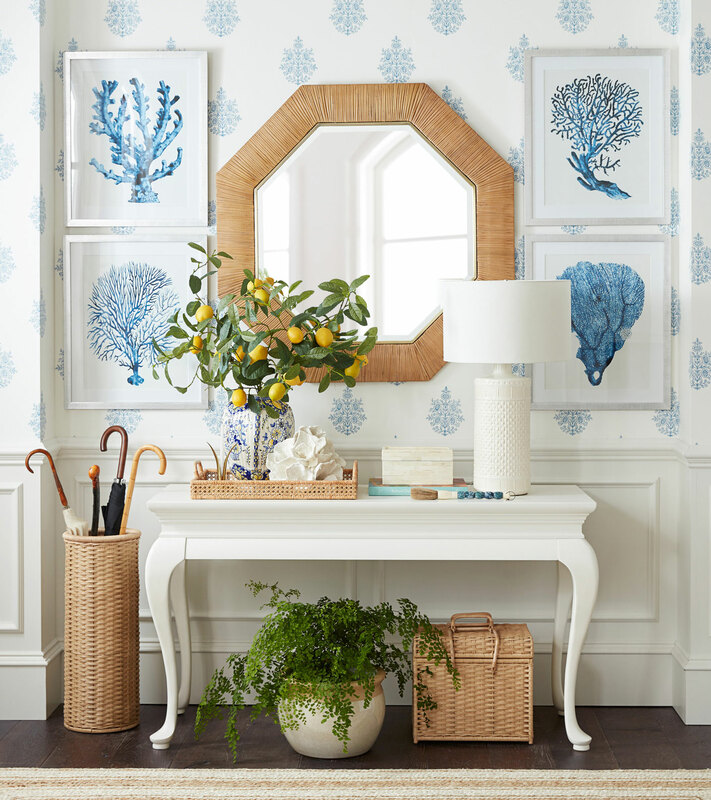 recently launched an entryway collection with Pottery Barn. It's composed of classic pieces that are as pretty as they are functional. 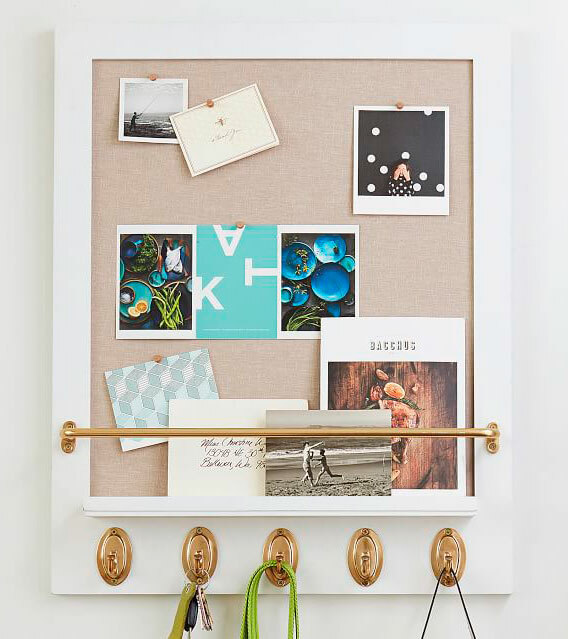 Below, the designer shares her tips for creating an organized and welcoming first impression. Reflect on the overall style of your home and assess how you can achieve a similar look and feel in the entry. It’s important to have a practical entryway. So first, make sure you have a place for all your things! Think about how you want to use the space: Do you want it to be more formal with a place for your keys and a mirror to check yourself before stepping out the door? Or do you want it to be hardwearing and the catchall for your shoes, coats, kids' sports gear, and dog leash? Pick one color scheme and style for the entryway; this will ensure that you keep the look cohesive. 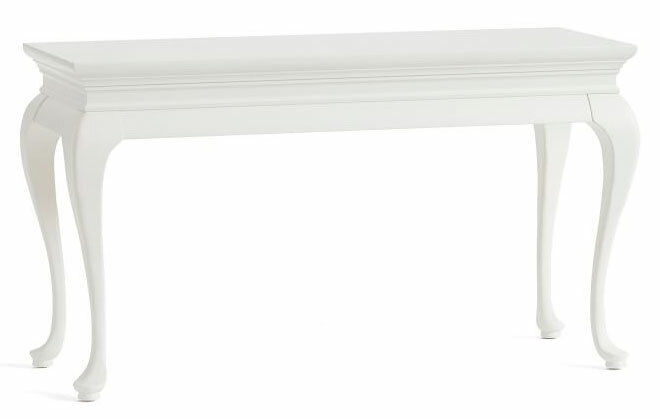 Whether it’s a console paired with a mirror, or a bench with shelves for storage above, both allow you to use the space but are also good-looking. When accessorizing your console or side table, select items that complement each other’s scale. Perhaps a stack of books with a small tray, candle, table lamp, and vase of flowers. This well-rounded mix will offer an attractive look.